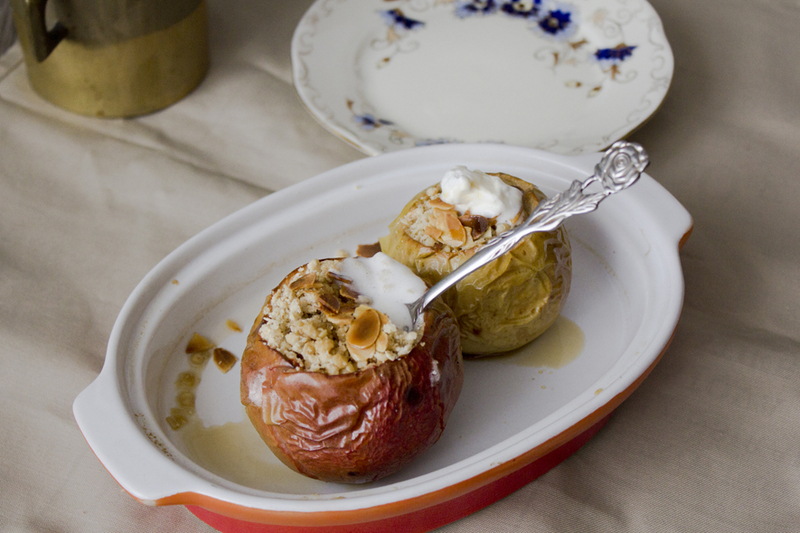 Baked apples are a common theme throughout the Game of Thrones feasts, and a King’s Landing staple. 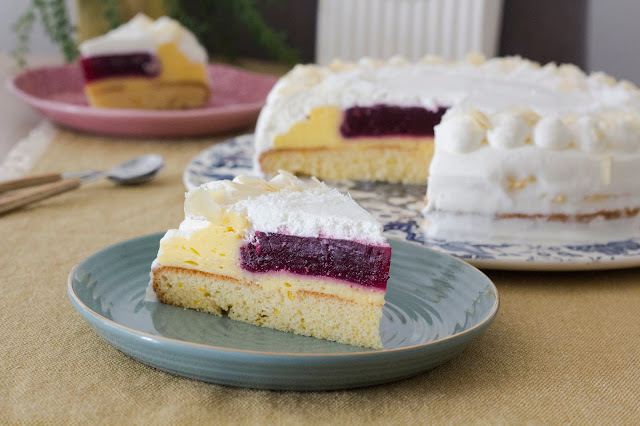 This easy dessert that can be prepared on a whim is perfect for warmer days ahead, or for those who are not fans of spending hours baking. 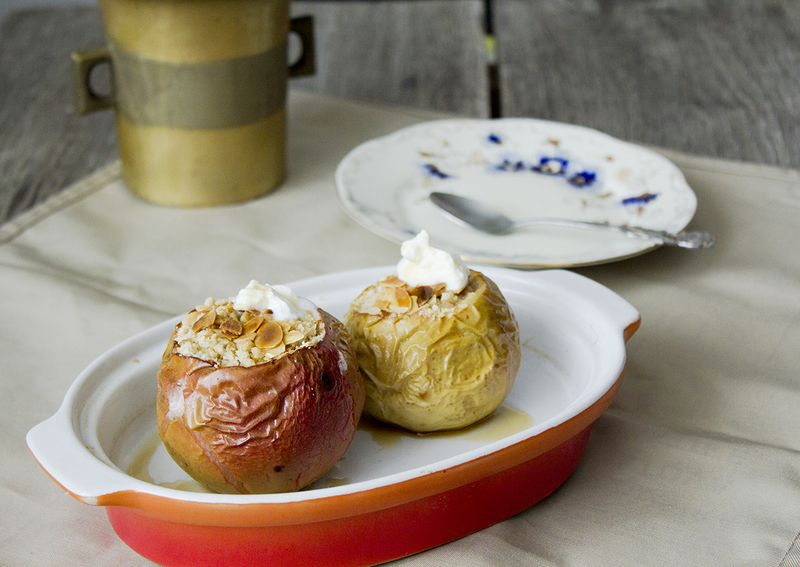 For Cersei Lannister, baked apples are a favorite, enjoyed with a glass of wine pretty much every day. It goes without saying that a glass of red wine is an obligatory accompaniment to pretty much every meal in Dubrovnik, i.e. King’s Landing. This is comfort food, easy to put together and pop in the oven just as soon as dinner is underway. Topped with brown sugar, cinnamon, and oats, this dish will surely be a crowd-pleaser. Try to use apples with a crisp texture that holds firm when baked. You can also add nuts and serve it with goat cheese. If possible, pour cider into the baking dish together with apples to deepen their flavor. 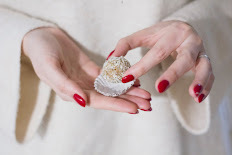 Since this is a lighter dessert, if you want to make it almost completely guilt-free, you can omit the sugar and substitute it with honey. The results can be anything you want them to be. You can eat the sweet, mellowed apples bare, or you can dress them up with creme fraiche, whipped cream or vanilla ice cream, to celebrate the season. They also create such a lovely fragrance that fills your home as you bake them! Remove the core from all of the washed apples. Place apples cut side up in a casserole dish. Add a little bit of water or cider in the bottom of the pan (this will steam the apples and keep them moist). In a bowl, mix together softened butter, brown sugar cinnamon and nutmeg. You will get a crumble mixture. 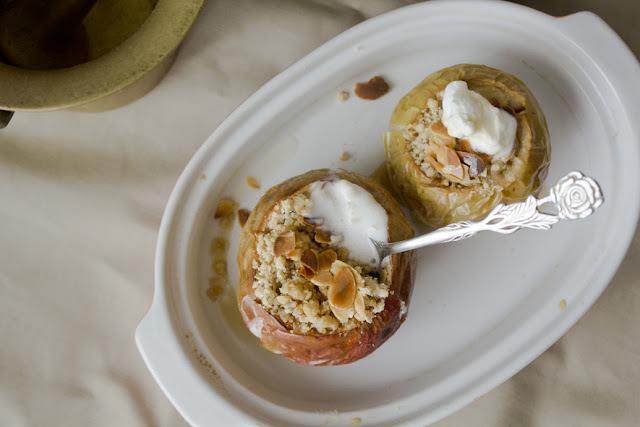 Top each apple with the mixture and sliced almonds, place them in the oven and bake for 45 minutes. Remove from the oven and let cool for 5-10 minutes before enjoying. Top with creme fraiche, whipped cream or vanilla ice cream.